SGS Chain of Custody (CoC) certification for forest and wood products ensures you, and your customers, that the forestry and wood products you supply come from certified, well-managed forests and their authenticity as they travel through the supply chain from processing to the customer. Our CoC certification enables you to demonstrate your commitment to traceability in your supply chain, helps consumers trust your wood supply, satisfies customer demand and confirms that you support environmentally responsible forestry. SGS Chain of Custody Certification helps you to increase your bottom line by developing organizational strategies and improving performance in your operation. Our independent and accredited forest and wood products certification services enable you to put in place processes that ensure customer compliance and reduce your risk of product denial and possible litigation. Our independent chain of custody certifications audits are conducted at your sites wherever forest or wood products are manufactured, transformed or distributed. 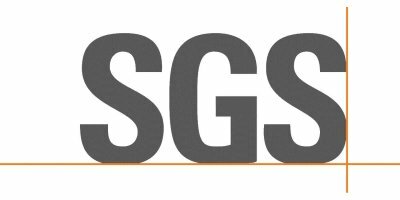 SGS Qualifor assessors work under the strictest of quality controls to verify your procedures for identifying and segregating your products and keeping acceptable records. At each point they check product identification, product segregation and the relevant records. We provide you with a quick turnaround on your Chain of Custody Certification, with results usually available within 20 days. SGS certifies against many globally recognized forestry standards, such as FSC©1, PEFC and SFI. SGS can also certify forestry management programs and standards of forestry practice together with CoC, saving both time and money. Contact us to see how you can streamline your forest or wood product operation and improve your environmental footprint with an SGS Chain of Custody certificate. SGS global FSC certification is performed under the terms of accreditation held by SGS South Africa (Pty) Ltd. (FSC-ACC-0015) on behalf of the SGS Group. No reviews were found for SGS - Chain-of-Custody Certification Services for Wooden Products. Be the first to review!